OWASP GoatDroid is a fully functional and self-contained training environment for educating developers and testers on Android security. 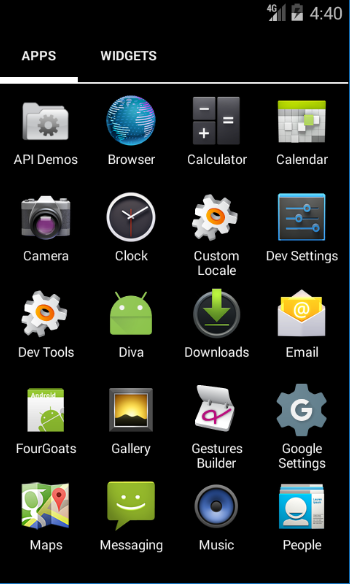 GoatDroid requires minimal dependencies and is ideal for both Android beginners as well as more advanced users. The project currently includes two applications: FourGoats, a location-based social network, etc. We will be installing these two apps in the AVD. Also, goatdroid-0.9.jar will launch the server for these two apps to communicate with. 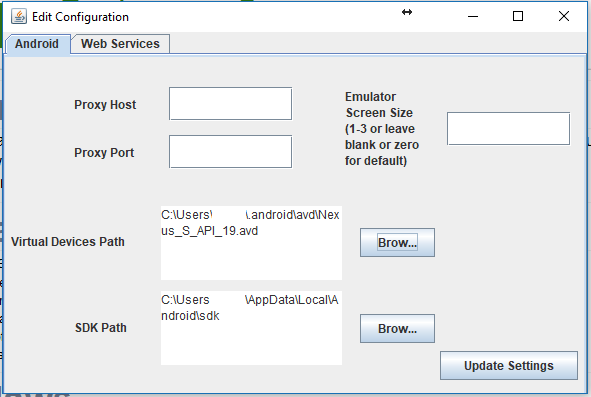 You can specify the location of the virtual device and the SDK path in order to identify the virtual device that this application is going to access. 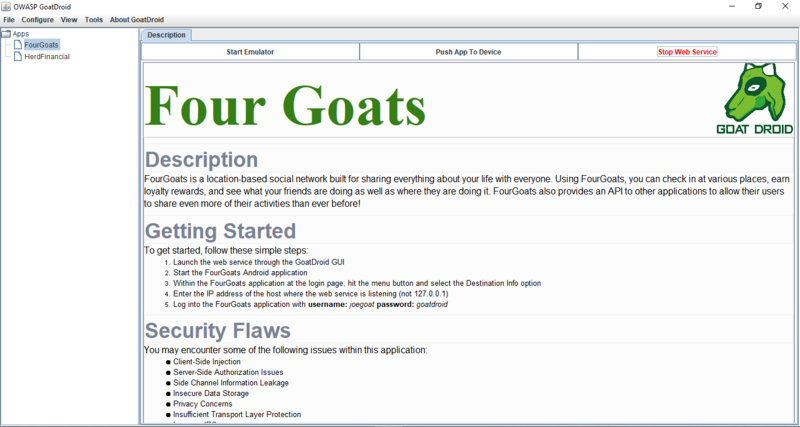 Within the GoatDroid GUI, select an app and then press the “Start Web Service” button. Enter the IP address of the host where the web service is listening, which should he your computer’s IP address. 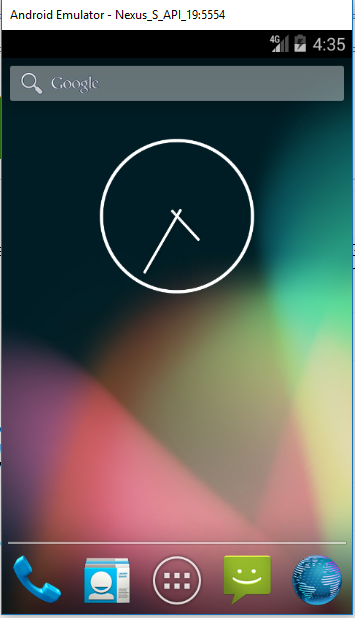 This is not 127.0.0.1. The default port is 9888 for HTTPS. 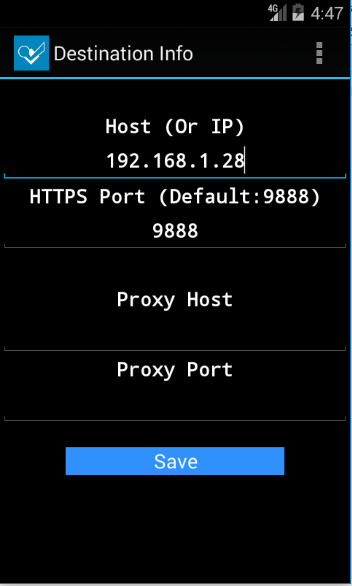 Optionally, configure the IP address for a proxy. 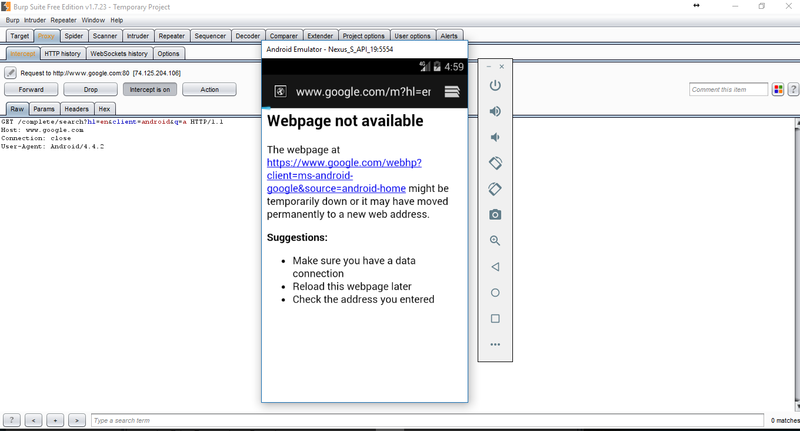 If you wish to use an intercepting proxy to test the web services, you will want to use this. In this post, I use Burp Suite. First, we will configure Burp Suite to listen on external interfaces. 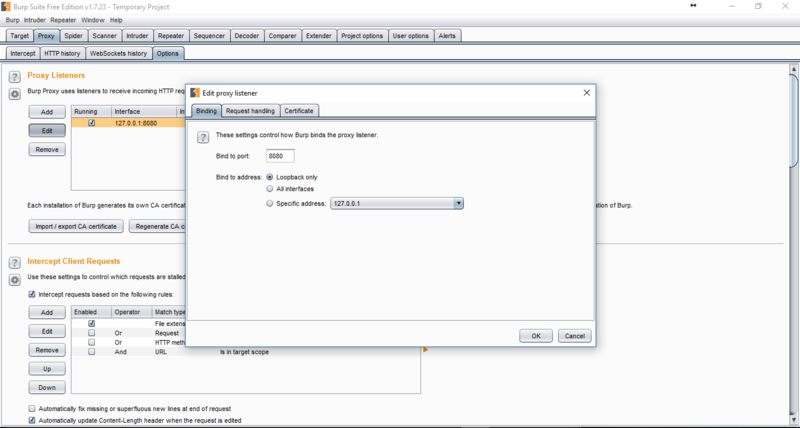 In Proxy → Options → Proxy Listeners → Edit → Binding select “Specific address” or you can also select it to listen on “All interfaces.” This will allow the virtual device to connect to Burp Suite. This will allow Burp Suite to intercept all the requests generated by this virtual device. As you can see in the screenshot below, when we launched the browser, the request generated to Google was intercepted by the Burp Suite proxy in the middle, which confirms that our settings are correct and are working fine. 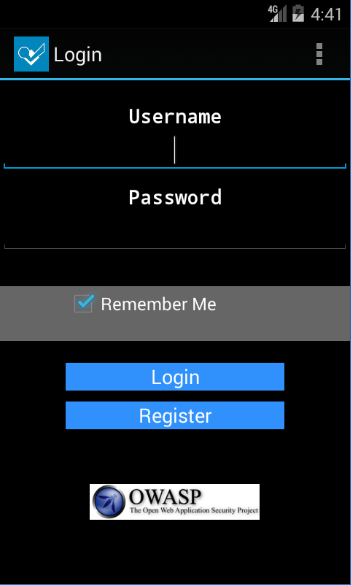 Now, log into the application with the default credentials. 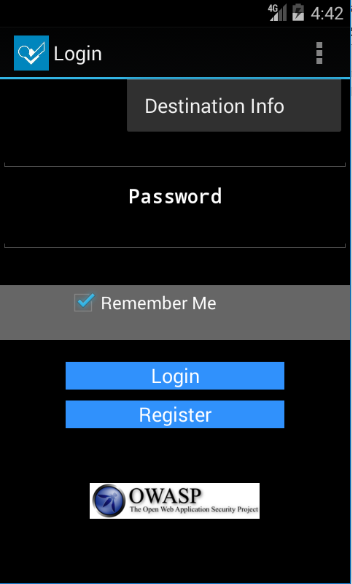 In most GoatDroid apps, you may be able to register for new accounts as well. Here I introduced the GoatDroid Lab to you. Please practice with the rest of the lab. Leave a comment if you have any difficulty during the practice.